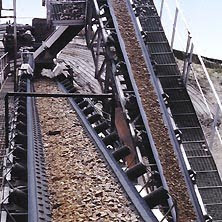 The FLEXOWELL®-conveyor belts are designed for horizontal, steep inclined and vertical handling of all kinds of bulk materials – from coarse-size coal and ore, rock, coarse sand or fertilizers. Lump sizes varying from powdery, floury material up to 400 mm (16") can be handled easily with FLEXOWELL®-conveyor systems. 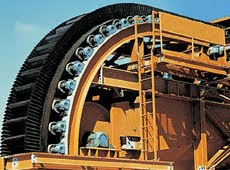 Materials can be carried over 500 m (1,640') in vertical lift with capacities from 1m³/h up to 6,000 t/h. 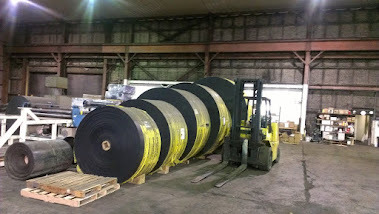 FLEXOWELL®-conveyor belts are supplied in standard black rubber quality of high abrasion resistance. 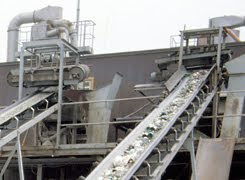 In addition, other qualities such as heat and oil resistant or flame retardant rubber can be supplied. 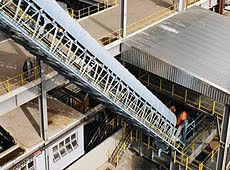 One of the main advantages of the FLEXOWELL®-belt is that cross rigid base belts can be deflected from the horizontal to an incline or vertical and back again without bowing or sagging.